"Let me Google that for you." This witty retort is heard in countless offices when someone asks an easily searchable question. However, as we know, some people are just better Googlers than others. Google has many hidden features that those in the know can use to their advantage. But we don't want anyone to feel left out, so we're sharing the coolest ones. Use these Google tricks to your own benefit and teach those snarky Google experts a thing or two. You may be surprised to learn that these fun features can also teach you a few things about your outreach marketing. Check out the tips below. Did you know Google has a calculator? When you have to start counting fingers and toes, it might be easier to type the problem into the Google search bar. This may be a stretch, but we think this means Google wants you to start doing more math. It's not a bad idea, especially for your marketing. Make the most out of your advertisements by crunching a few numbers. In business, we're always looking for that critical calculation, return on investment, for promotional efforts. Putting a unique toll-free number (TFN) with each marketing endeavor will help you calculate which one is generating the most business. The best advertisements will stand out and the worst ones can be removed quickly. Marketing dollars will go further when you calculate return and invest your money in the right places. Google lets you track packages and flights simply by searching a tracking number or flight number. This handy trick means you'll always know what's going on with your packages or flights. Unsurprisingly, tracking lets you know what's going on with your marketing, too. Once you've linked your campaigns with TFNs, you can pinpoint where most of your calls are coming from by looking at a call map. Tracking each call helps you target the locations with the most calls (and therefore highest return), and voilà! The boss is happy, you're happy, customers are happy. Everybody's happy. 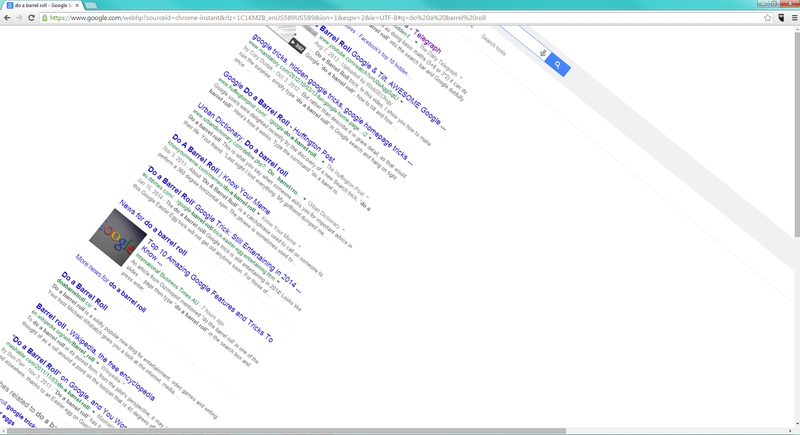 Type "do a barrel roll" into the Google search bar. Pretty sweet, right? This unique trick got Google some serious press. Your company should aspire to do the same! That is, be unique. We aren't responsible for any barrel roll damages you might incur. Make your business stand out by using a vanity number. You can incorporate your name, a slogan or any other letter-number combination you can think of, for instance, 855-BRL-ROLL! By catching customers' attention, you'll stick out in their minds, which will in turn bring you more business. If you aren't already, use these hidden Google features and put our marketing tips into action. Do you know of any more Google tricks? Let us know in the comments! 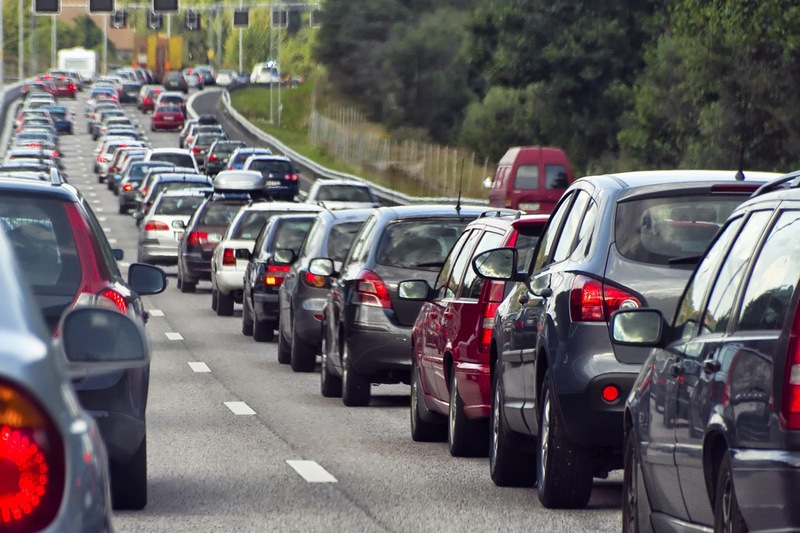 There are two types of traffic: The bumper-to-bumper kind the general public spends 38 hours a year stuck in and the kind that online marketers love. You can probably guess which type of traffic this post is about. On a typical day, 71 percent of Americans use the Internet to generate tons of traffic shopping online, interacting on social media, clicking ads, etc. Some marketers read this statistic and try to play the numbers game to get visitors to their sites. They use their pay-per-click (PPC) budgets to maximize their reach and accumulate the highest possible number of clicks. The problem with this strategy, however, is that not all traffic is the right traffic. Don't sacrifice relevance for reach. Check out the following three simple ways you can attract profitable prospects without wasting money on dead-end clicks. When you're trying to get to your destination, you probably reference the signs on the highway. Think of your keywords like these signs. If you select vague PPC keywords, your high-quality prospects will miss their exit to your content (which is bad for both of you). The words you use to describe your business matter. If you need help identifying high-converting keywords so you can bid on similar ones, try using a web optimization tool. The more targeted your keywords are, the more likely you are to find prospects that are a good fit for your company. When you're sitting in traffic bored, you might check out the bumper stickers on the cars near you. These bumper stickers are much like inbound links. It's free advertising for the company on the sticker. The inbound links that thought leaders post in their content not only drive legitimate leads to your site but also help you improve your keyword rankings. Some awesome ways to generate more inbound links include blog writing, using social sharing buttons, asking for reviews and creating relationships with complementary businesses. After you've read all the bumper stickers, you'll probably look to the billboards that line the highways for reading material. These billboards can teach you a lot about good content. Interesting content is original, eye-catching, to the point and wrapped up with a clear call to action (not a text-heavy sales pitch that puts your audience to sleep at the wheel). You can tailor your content to consumers in any stage of the buying cycle. Start by writing unique blog posts and articles that answer your prospects' questions and/or help them solve their problems. In your blogs, link to white papers and other resources you've written that tell them more about your business. When your prospects download your content and opt into your mailing list, email them demo videos and customer testimonials so they can further evaluate your products and services. We all want more web traffic, but only if it's composed of relevant leads that are on the road to generating revenue. Want more tips on how to use your budget wisely to generate leads? Get them in our post "Five Ways to Get the Best Bang for Your Marketing Buck." Ten years ago, Yelp changed the way people discover and recommend businesses by creating an online community where anyone can post and read personal reviews for free. With over 57 million posts, the popularity of Yelp is unmistakable. Considering its incredible ability to reach so many consumers, bad reviews about your company should not be taken lightly (because they're guaranteed to affect your bottom line). Although it's impossible to prevent every single negative review written about your company, you can actively limit them by using call tracking software to help you address problematic situations before customers turn to Yelp. 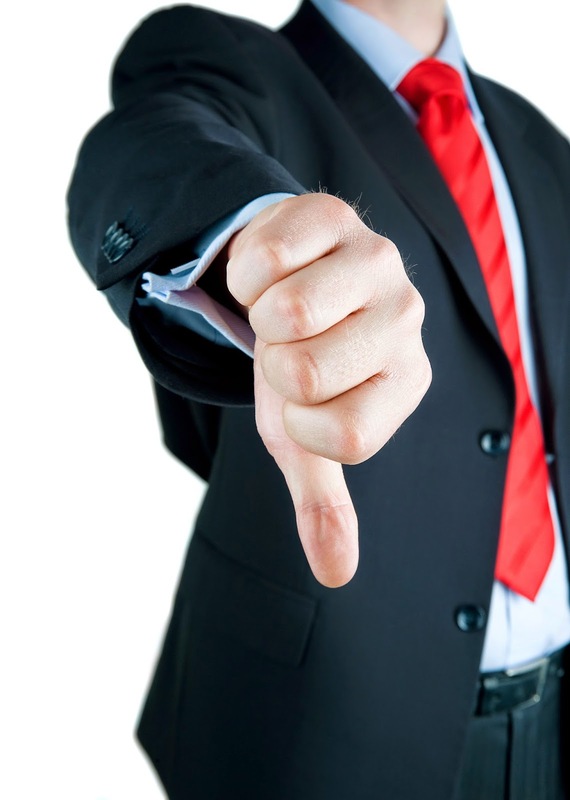 Here are some ways you can be proactive in cutting down on those lousy reviews. Studies show that 96 percent of unsatisfied customers don't complain. Instead, they silently take their business elsewhere and tell everyone (except you) what went wrong. Even though your customers could voice their concerns, they don't because they feel like the business doesn't care. To counteract this assumption, simplify the complaint process by giving customers easy, accessible ways to give their feedback. Start by giving your customers outlets to express their concerns. Prominently display the number of your support line online, cut down your surveys from 20 questions to five and personally follow up with customers via a phone call or email to inquire about their experience with your business. If a customer does take the time to call your company, use intelligent voice-recognition software will allow you to instantly identify negative keywords or phrases that indicate a customer is unhappy. Even if you're not the person on the phone, you'll be notified of any problem words immediately. 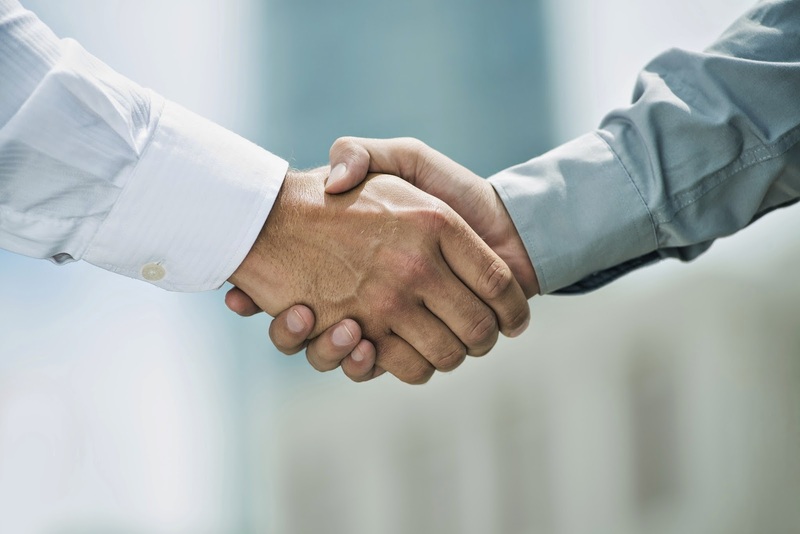 Since acquiring a new client costs five to ten times more than retaining an existing one, it's important to maintain your customers' loyalty after they've had a negative experience. The first thing to do is evaluate how to contact the customer: by phone, personal letter or email. The more serious the issue, the more personal the communication method you should use. Contact the customer quickly (in 24 hours or less), take responsibility for the issue and assure them the problem is being taken care of. Once you've resolved the issue, follow up with your customer to ask if everything is going smoothly. To make sure you respond promptly to customers who call, you need to make sure you track each call that comes in. If a call was missed, occurred after hours or received a busy signal, that caller was not given the service they needed. If you use a tool such as Missed Call Notification, you'll be notified every time these situations occur, which will allow you follow up with the customer quickly. Customers who have their issues resolved tell at least six people about their experience. Your speedy, helpful response will ultimately negate a bad review and influence a positive one. You might not always have the opportunity to resolve a customer's problem face-to-face since 90 percent of consumers prefer to resolve their customer service issues using the telephone. To make sure your staff is handling these complaints correctly, it's important to record your calls. Call recordings can be used as a training tool to reinforce company policies on how to handle angry customers. You can also encourage your staff to evaluate their own calls to better prepare them for handling disgruntled customers in the future. 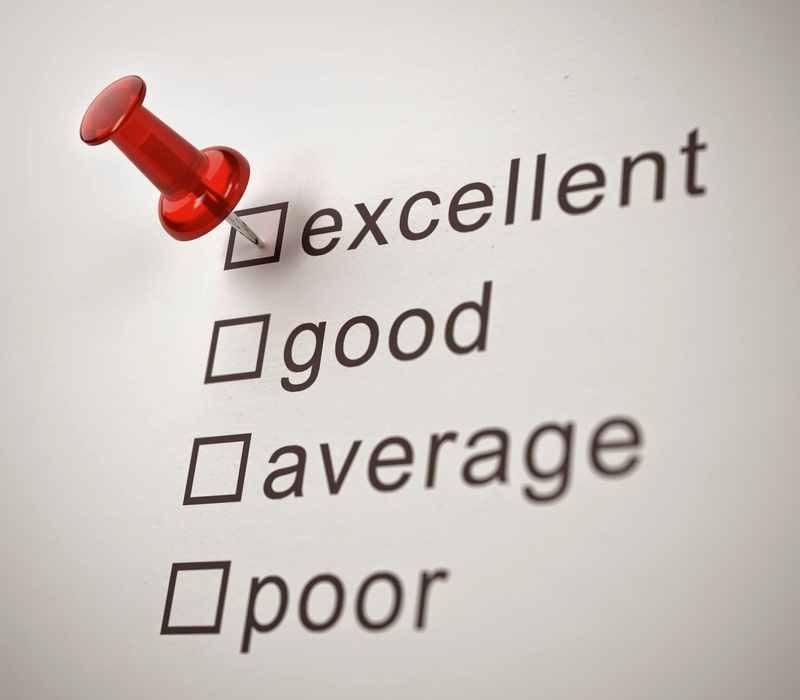 Have you had experience with negative online reviews? Share your story with us in the comments below! 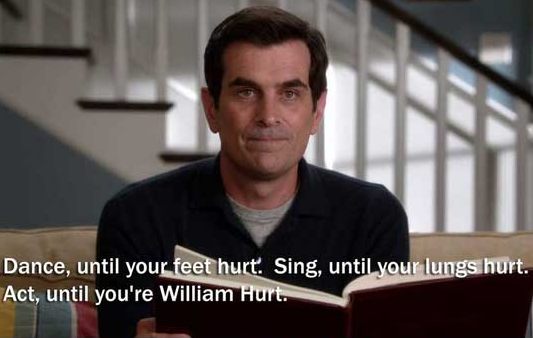 Phil from the popular TV series Modern Family often spouts off interesting advice, known to fans as Phil's-osophy. Some of his famous quotes are confusing, but if you read them closely, you'll find there's actually some merit to them (especially for marketers). For example, as a marketer, you should dance until your feet hurt — figuratively speaking, of course — by approaching every task with passion. But being passionate about your campaigns isn't the only important marketing philosophy. Here are a few others (provided by Phil), along with some tips on how to carry them out. "You only get one chance at a first impression. I suggest Julia Child, because it's easy to do. 'Save the giblets!' "
By suggesting an impersonation of Julia Child will help you make a good first impression, you might think Phil is off base. But if you read between the lines, you'll find an important piece of wisdom: You only get one chance at a first impression, so you have to make it a good one. From your first impression with your consumers to your last, deliver a consistent message. Your ideas can be unique without being bipolar. Once you come up with some unique ideas, let them marinate a little to make sure they fit with your company's persona. If you're not sure whether your ideas are too "out there," think like Julia Child and save the giblets. Though at first your team members may not see the value in saving these leftovers (i.e., your crazy ideas), it doesn't mean you can't use them for a campaign down the road. "If you love something, set it free. Unless it's a tiger." Phil's right. If you own a tiger or see one at your local zoo, definitely don't set it free. Ever. But if you have some treasured marketing campaigns that just aren't working anymore, you can let them go. We know you love them and are justifying keeping them around by telling yourself that maybe they'll work again someday, but the odds are, if they haven't been pulling in leads for a while, they're probably outdated. To figure out which campaigns are duds, keep track of your ads' performance. You can do this by assigning a unique toll-free number (TFN) to each of your campaigns. Call tracking software will help you record how many phone calls each campaign is generating, so you can easily calculate ROI. Once you've determined which campaigns aren't pulling their weight, you can focus on reallocating your budget to the ones that are bringing in leads. 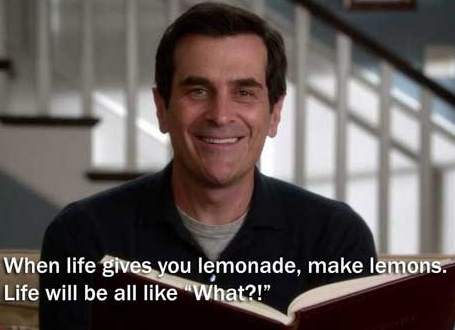 "When life gives you lemonade, make lemons. Life will be all like 'What?!' "
If you pulled off this magic trick, we would also be like "What?!" But in all seriousness, you'll have to, once again, read between the lines. Phil's message is don't be predictable. You'll produce something way more interesting if you think outside the box and create something unexpected. You might even get some positive attention along the way. People tend to talk about an innovative company with new ideas. To create the type of campaigns that make consumers sit up and take notice, take a look at your current campaigns. What do you (and your customers) like and dislike about each of them? Then make notes on the best parts of each campaign and incorporate them into a new masterpiece. Also check out these tips for how to create the perfect campaign. What other marketing philosophies (or should we say "Phil's-osophies"?) do you swear by? Let us know in the comments! The Fourth of July is right around the corner, and to celebrate 'Merica, we're grilling steaks. Hmm, marketing campaigns are kind of like steaks, aren't they? Everyone prepares them differently, they can be bland or phenomenal, and they take effort to perfect. Here are a few tips that can take both your marketing campaigns and steaks to the next level. First things first: You need your tongs, your tray and your grill. Without the right tools, you can't even think about grilling a steak. Marketing is no different. You can't create a campaign if you don't make sure you have the people, budget and software you need ahead of time. Make sure your team knows about the campaign so they aren't caught off guard when it's time to create it. Set up a meeting to go over the goals of the new campaign and figure out what tools you and your team need. Once you have your team and tools ready to go, you can start brainstorming your campaign. Every master chef knows that without marinade, people are just going to be eating your steak with ketchup because it's too dry. The horror! But the same can be said for your campaign. Once you've brainstormed your campaign idea, let it marinate a little. A dry campaign won't go very far with your customers. These campaigns are proof of that. Don't launch it before you've added your team's creative juices to it, or it could be a total flop. Once you've come up with the perfect blend, it's time to grill that bad boy. Let's make this deliciousness edible. Some people like their steaks rare and some like them well done. But the pros suggest medium-rare, because it has the most flavor and best texture. Once your team starts working on the project, make sure they know their boundaries and what you think is best. If it starts to look tasteless, they may have had it for too long. But of course make sure they have enough time with it, or it won't be fully done. The flavors from the juices make your steak mouthwatering, but every grillmaster adds a signature finishing touch once it's off the grill. You have to make the best steak anyone has ever tasted. Something so good that no one will ever want a competing steak again. Do the same with your marketing campaign. What does your campaign have that a competitor's doesn't? It could be a hidden character, message, color of the month — anything to make it stand out. Spend time on a punch line that's unforgettable. Research color schemes that stand out. Think outside the box with your emails. Once you've created your perfect campaign, use these tips to get the best bang for your marketing buck.